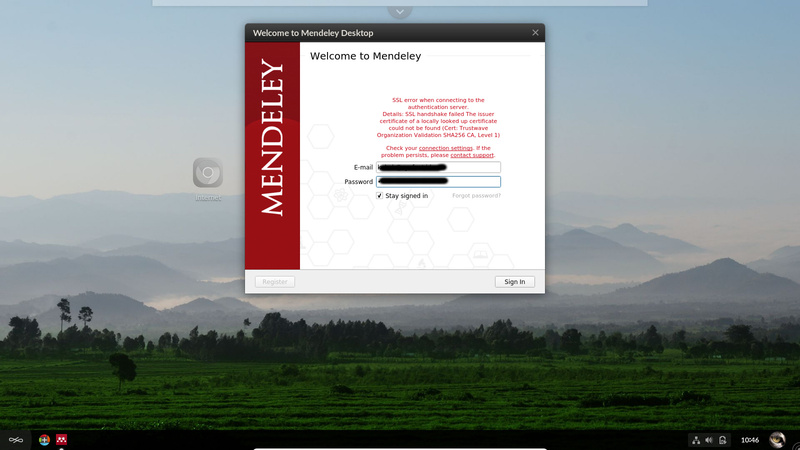 Mendeley on Endless can’t login, but when i try to install Mendeley flatpak on other distribution (i.e, Ubuntu) it works (i mean can login). Any problem with this @Nick_Richards? The java runtime isn’t correctly populating the SSL certificates so authentication will always fail. @feaneron will be interested in this too. Great! I hoped we’d fixed that. @thisaro What version of Endless OS are you using? What version of Mendeley that are you using?